We recently had the pleasure of shooting the Boca Raton Resort and Club for one of our commercial clients. 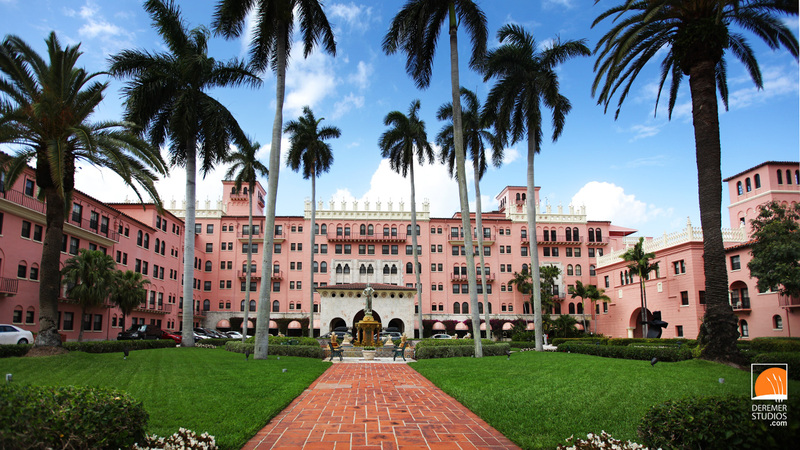 This 1000+ room resort began its life during the Florida Land Boom as the Cloister Inn, built in 1926 as the most expensive 100 room hotel in the world. 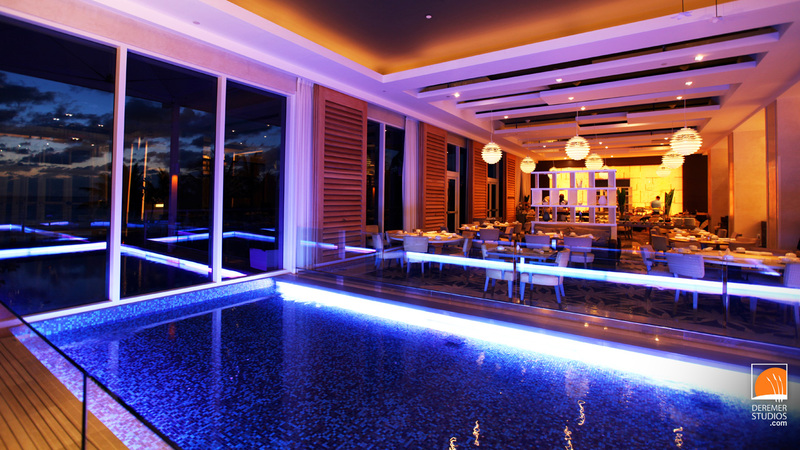 Since then, the hotel has gradually, though steadily grown into one of the top resorts in Florida. With 7 swimming pools, two professional golf courses, eleven restaurants, and hundreds of feet of ocean-front property, its no wonder! Also – neat fact: During WWII the resort played an essential role as a barracks housing soldiers for nearby Boca Raton Army Air Force Base. The troops affectionately called it “the most elegant barracks in history”. Anyway, here are several of our favorite photos from the shoot – as always, downloadable as HD desktop wallpaper. Enjoy! 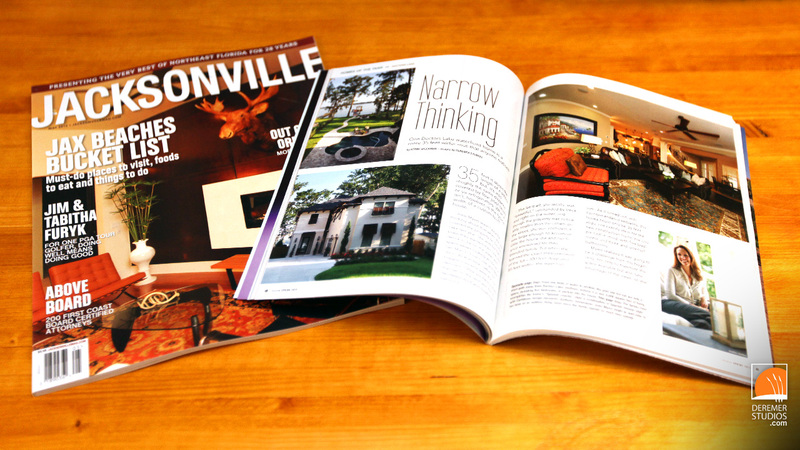 DS Photography in This Month’s Jacksonville Magazine! We received word today that Jacksonville Magazine has published several photos from our shoot with Dreambuilder Custom Homes. 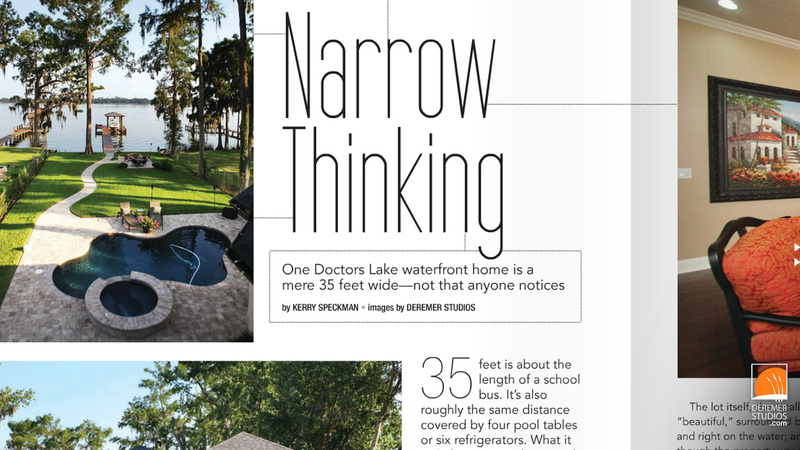 The article details the uniquely narrow footprint and welcoming design of this Doctor’s Lake home. Check out the online version of the article here, or pick up a copy at a local news stand! Yesterday, we had the joy of shooting a recent project from architect Sam Clausen, of Dostie Homes. This wonderful colonial-inspired home located along the Itracoastal Waterway is a beautiful example of their attention to detail and overall ability to create innovative, yet classic looking homes. I hope you enjoy these photos as much as we enjoyed capturing them! We specialize in Architectural photography, both residential and commercial. Our specialized equipment, designed specifically for this sort of photography enables us to creatively capture almost any space! Check out some of our favorite shots from this shoot below. 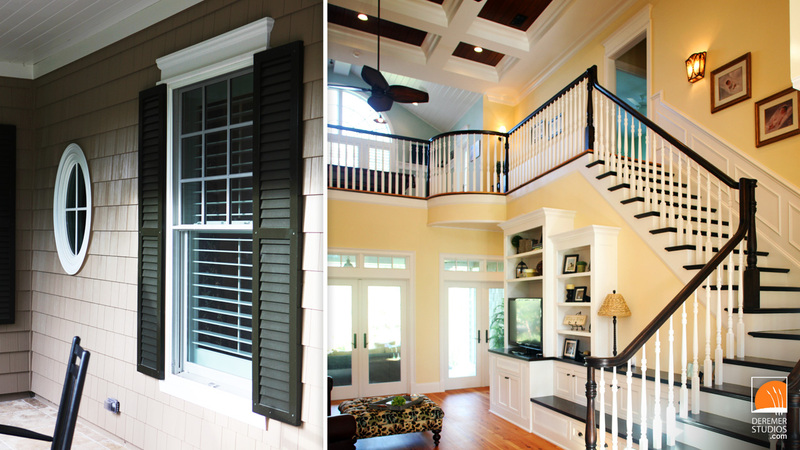 We recently had the privileged of shooting this property for Dreambuilder Custom Homes. 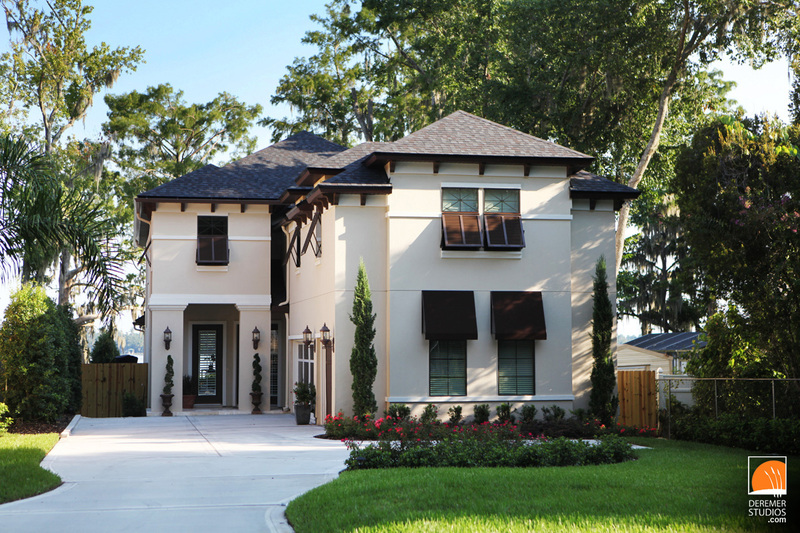 Located on Doctor’s Lake in Orange Park, FL on a narrow but deep lot, together with the architect Dostie Homes, they truly made the most of this property!